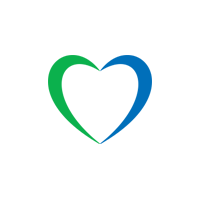 Lycamobile (‘We’, ‘Us’) is a mobile virtual network operator (MVNO) operating in 23 countries worldwide. 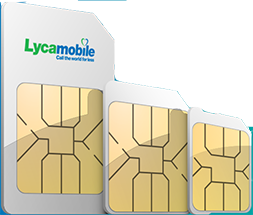 Lycamobile provides national and international calls, texts and data to customers. Lycamobile was founded in 2006 and is headquartered in London as Lycamobile UK Limited at 3rd Floor Walbrook Building, 195 Marsh Wall, London, E14 9SG. For the purpose of the applicable data protection legislation, Lycamobile is the data controller. The representative of Lycamobile can be directly contacted at DPO@Lycagroup.com. It is important that you read this policy, together with any other policy or notice we may provide on specific occasions when we are processing personal data about you, so that you are aware of how and why we are using such information. This policy has been designed in accordance to the General Data Protection Regulation (EU) 2016/679 of the European Parliament and of the Council of 27 April 2016 on the protection of natural persons with regard to the processing of personal data and on the free movement of such data, and repealing Directive 95/46/EC. Where the national law imposes a requirement that is stricter than that imposed by this policy, the requirements in national law (as amended from time to time) will be followed. Furthermore, where national law imposes a requirement that is not addressed in this policy, the relevant national law will be adhered to. The aim of this policy is to make you aware of how and why your personal information will be used, namely for the purposes of the recruitment exercise, and how long it will usually be retained for. It provides you with certain information that must be provided under the applicable data protection legislation. Any information you may provide to us during an interview. We may also gather a test result as a result of an aptitude test carried out in the recruitment process. We may also collect, store and use the information about criminal convictions and offences which constitutes sensitive personal information. We may also collect, store and use CCTV footage, when you attend our premises for an interview. HOW IS PERSONAL INFORMATION ABOUT CANDIDATES COLLECTED? We collect personal information from you directly or sometimes from publicly available sources where you have made such information public. Background check provider, from which we collect the background check results. Credit reference agency, from which we collect the credit reference results. Disclosure and Barring Service in respect of criminal convictions and offences. Carry out background checks, where applicable. Application stage – we receive your curriculum vitae. Application shortlisting – we decide whether you meet the basic requirements to be shortlisted for the role. If you do, we will decide whether your application is strong enough for an interview. Following an interview, we may also request you to take an aptitude test. We will use the information you provide to us during the interview and [aptitude test, where applicable] to decide whether to offer you the role. If we decide to offer you the role, we will carry out background checks and/or criminal record checks, as required, before confirming your appointment and will confirm your appointment by signing an employment contract with you. It is in our legitimate interests to decide whether to appoint you for this role since it would be beneficial to our business to appoint someone for that role. If you fail to provide information when requested, which is necessary for us to consider your application, we will not be able to process your application successfully. For example, if we require a credit reference for the role you have applied with us and you fail to provide us with relevant details, we will not be able to take your application any further. We may process information about criminal convictions for certain roles. This will be in the case where we are required to carry out a criminal record check to satisfy ourselves that there is nothing in a prospective employee’s criminal convictions history which makes them unsuitable for a specific role. We will inform you if the nature of the role requires these checks. The role is eligible for a basic check from the Disclosure and Barring Service. Certain key roles require a high degree of trust and integrity since it involves dealing with law enforcement bodies and sensitive information and so the role requires enhanced security vetting for verifying criminal records history. We will seek for your consent before carrying out any background checks and/or criminal record checks. If you attend our premises for an interview, we will collect your CCTV footage to take precautionary measures to protect our employees’ safety, and to safeguard our business, and our business assets, including products and property. Your information will only be shared externally if it is necessary or required (for example in order to carry out pre-employment screening). Suppliers who undertake background screening on our behalf (credit reference agencies, background check providers and criminal check bureaus). To enable the recruitment key stages mentioned under “HOW WILL WE USE INFORMATION ABOUT YOU?” above, your personal information may be shared within Lycamobile, but the information shared will be limited to what is required by each individual to perform their role in the recruitment process. We will retain your personal information for a period of 12 months after we have communicated to you our decision about whether to appoint you for the role. We retain your personal information for that period so that we can show, in the event of a legal claim, that we have not discriminated against candidates on prohibited grounds and that we have conducted the recruitment exercise in a fair and transparent way. After this period, we will securely destroy your personal information in accordance with our data retention and disposal policy. Should you be unsuccessful, we will retain your personal information, on the basis that a further opportunity may arise in future and we may wish to consider you for that. For this purpose, we will write to you separately to obtain your consent to retain your personal information for a period of 12 months after we have communicated to you our decision. You will have the right to consent or not provide consent for this processing. You will also have the right to withdraw consent for processing for this processing at any time. Once we receive your notification that you have withdrawn consent, we will no longer process your personal information and we will dispose your personal information securely. WHAT ARE YOUR RIGHTS IN RELATION TO PERSONAL INFORMATION? If you want to review, verify, correct or request erasure of your personal information, object to the processing of your personal data, restrict the processing of your personal data or request that we transfer a copy of your personal information to another party, please contact us in writing at mydata@lycagroup.com. If you have any questions about this privacy notice and policy or how we handle your personal information, please contact the Data Protection Officer at dpo@lycagroup.com. You have the right to make a complaint at any time to the Data Protection Authority for data protection issues.